Rebecca Mumford from Greenhill Living is an innovative educator who plants awareness about how food grows in the minds of our future young farmers. 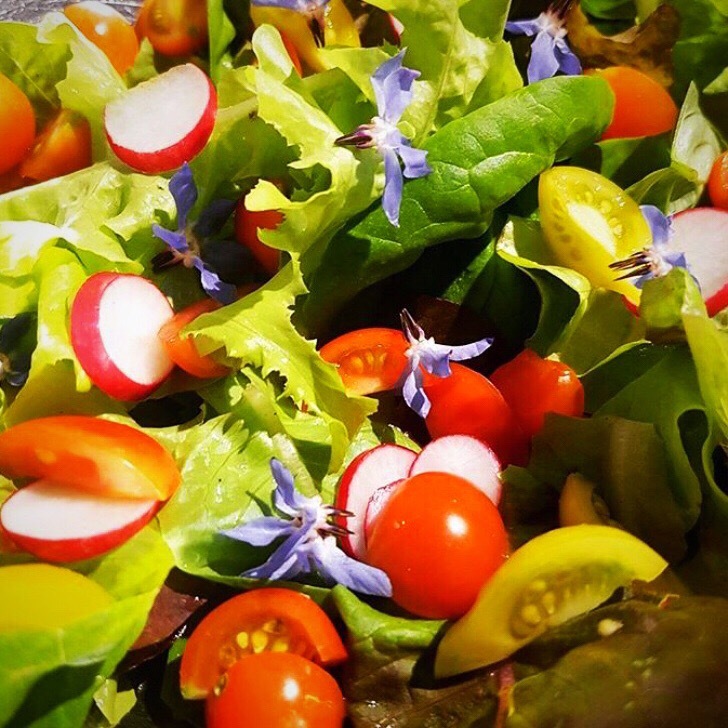 Rebecca facilitates her Food Garden Programme within preschools, childcare centres and primary schools, which focuses on three components; planting, harvesting and eating. During the early stages of implementing the programme she realised she needed an effective way to illustrate the basic concepts about where food comes from and the life cycle of plants. Rebecca decided to create her own resources to complement the practical aspects of the programme. She has now produced a total of nine books which feature simple explanations through informative text and images. I recently spoke to Rebecca about the programme and her new book Bill The Bush Tucker Boy. Annabelle: Can you please give me an overview of what The Food Garden Programme entails? Rebecca: My book series The Garden Gang and Gaye the Garden Girl form the structure of my programme. The full year programme includes all eight books from the series. I read one of my stories each time I visit (which is twice in a school term) to highlight the vegetables in the book and the planting season we’re in. After the interactive book reading session and the fun, engaging conversation, the children are encouraged to come out to the garden to help plant, feed, weed, water, harvest and taste. This ensures the food gardens are maintained and grow productively through all the seasons of the year. Annabelle: What is the overarching message you would like your students to take away with them once they have completed the programme? Annabelle: You’ve also created and published a collection of books which offer additional information to assist students when they’re trying to understand the concepts covered. Can you please tell me about the books? Rebecca: When I started working with preschool children eight years ago I wanted the children to understand the life cycle of what we were planting in the food garden, how the plant would grow the food we eat, how long it would take and the impact of various pests and beneficial insects during the growth of the plant. I initially used photos to illustrate this, then the story of the life cycle of the carrot plant and the ladybird evolved, followed by the story of the life cycle of each plant I was planting in the food garden throughout all the seasons of the year. In addition to plant life cycles, my books inform how to build healthy soil in the garden and the different ways to plant from seed, seedlings and cuttings. They also provide an introduction to the concepts of composting and worm farming. Annabelle: The new book you’ve just published focuses on the true origins of the food we eat. Could you please tell me about Bill the Bush Tucker Boy? Rebecca: I’ve recently had teachers starting to ask about native foods. I realised I needed to start my journey to discover more about our Australian edible native food plants and during this time decided to write another book to illustrate this journey, which I hope more people join me on. Bill The Bush Tucker Boy grows and eats plants which originate from all around the world. This book includes the interactive technology of Augmented Reality, so you can download the Blippar App on your device, scan the indicated images within and watch the images come to life in motion and animation. Annabelle: I understand you have a few exciting things in the pipeline to complement Bill the Bush Tucker Boy. Could you please give me a snippet of what lies ahead? Rebecca: I’ve included the native foods programme into my offerings where I read Bill the Bush Tucker Boy and demonstrate the augmented reality within. 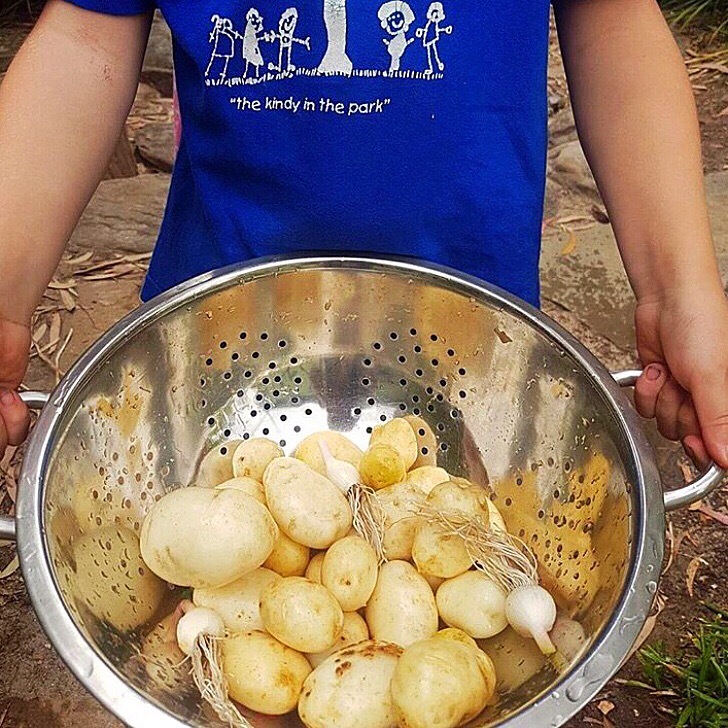 I connect many curriculum areas within preschool and primary school and follow this up by establishing Bush Tucker Gardens within the schools. I hope to raise awareness all around Australia about how our food grows and highlight the people who grow it. I also want to draw attention to the true origins of the plants that are our food. Watch this space! Annabelle: Thank you for sharing your story, we look forward to following your journey and that of The Garden Gang!